When the Treaty establishing the European Economic Community (EEC) was signed in Rome in 1957 [1.2], the dominant political philosophy was market driven. The six original EEC member states — Belgium, France, the Federal Republic of Germany, Italy, Luxembourg and the Netherlands — believed that, if enterprises were allowed to compete on equal terms, the distribution of resources would be optimised, enabling untrammelled economic growth which would automatically result in social development. Social harmonisation was seen as an end product of economic integration rather than a prerequisite. 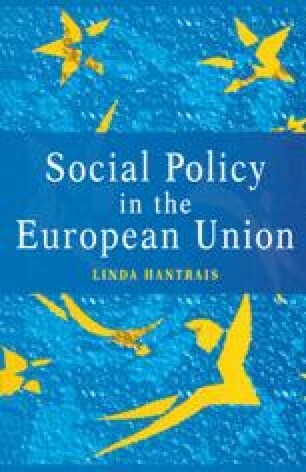 For these reasons, no specific social provisions were written into the Treaty, and EEC responsibility was limited to promoting cooperation rather than defining precise social policy objectives (Collins, 1975; Shanks, 1977). Member states did recognise the need to establish a social fund to help declining areas of the economy, but it was to operate on a very small scale.